Father Joseph Fitzgerald was born in Brooklyn, N.Y. and graduated from North Babylon High School, North Babylon, N.Y. He earned a bachelor’s degree in social studies from Ithaca College, Ithaca, N.Y., where he played football and baseball. In 1996, he helped the USA Team Handball Men’s National Team win their championship game at the Olympics in Atlanta. 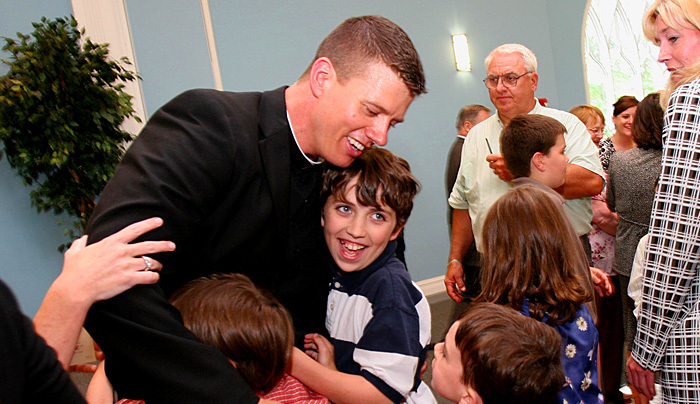 Before entering the Seminary of the Immaculate Conception in 2002, he served as a youth minister at Our Lady of Perpetual Help parish in Lindenhurst, N.Y. His pastoral year—2004 to 2005—was spent at Our Lady of Loretto parish in Hempstead, N.Y.